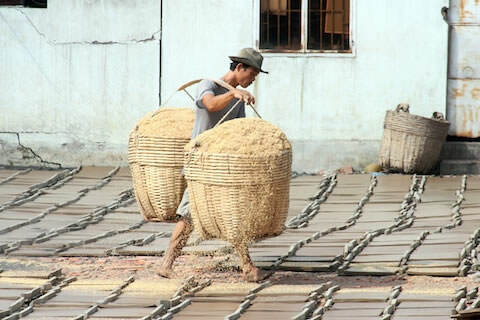 Worker carrying rice husks for fueling fires at the brick factory in Sa Dec, Vietnam. Wednesday, April 7, 5:30 p.m. Cruising Into Tan Chau, Vietnam — The early-evening sun appears as a bright orange orb descending into the Mekong. La Marguerite slows its pace, sailing into Tan Chau, the last Vietnamese outpost before the vessel crosses into Cambodia tomorrow. On board, passengers are enjoying a variety of activities. Some are cooling off in the pool, some are sipping cocktails, some are attempting to get the perfect snapshot of the sunset. All appear happy to be exploring a region relatively new to tourism and river cruising. Our floating hotel, La Marguerite, anchored off Sa Dec, Vietnam. 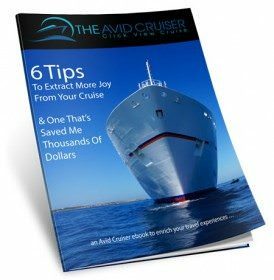 On this day and on prior days, we have stepped ashore for tours included in our cruise fare. The tours are well-organized and visually stimulating. Nearly any direction that a camera can be pointed frames a photograph worthy of keeping. Today, nearly midway through our eight-day cruise, and already we have a shoebox full of memories and experiences. “I’ve taken at least 500 photos,” says a man from Helsinki. With each destination, it seems that it cannot get any better, and yet somehow it does. All kinds of marine traffic on the Mekong. Today in Sa Dec was no exception. The impression for me and for other passengers I spoke with is that we are touring destinations still unspoiled by mass tourism. 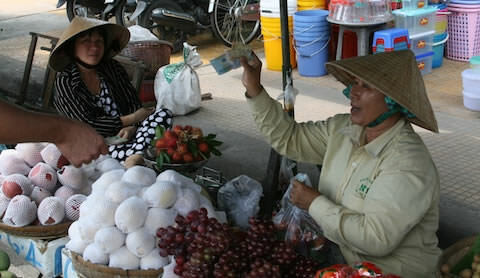 Indeed, we see few other Westerners as we walk through the markets and streets of the villages along the Mekong. Waves and smiles from everyone. People wave to us, happy when we wave back. Some smile, some laugh, some cover their mouths in embarrassment. 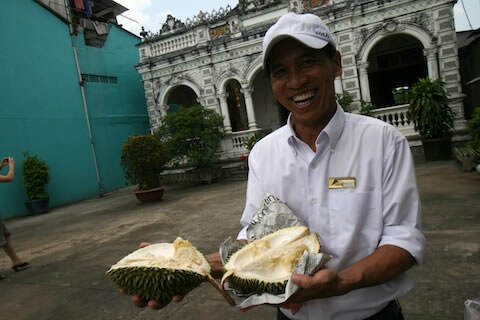 “People are eager to talk and communicate with foreigners,” says our articulate and affable guide Thoai. The tourists are the attractions. We see no drunks, no beggars, not a single palm extended for a handout. No one is hassling us to buy anything. On the contrary, they joke with us, taunting us with good humor. A Dutch couple has brought their two young children on the cruise. At the market, the kids, ages 5 and 7, giggle when a grinning old woman shoves a live catfish toward them. River cruising only recently started here in the Mekong, and in the towns and villages along the Mekong, it is as if the locals have never seen people of our race. “It’s almost like we are the attractions,” says Rudi Schreiner, president of AMAWATERWAYS. The Southern California-based company began operations on the Mekong in the fall of last year and has plans to build a small fleet of river cruise vessels, operating on the same model that made its European river cruises so successful. At the market in Sa Dec. Being here with a complement of passengers from Europe, Australia and only a small group of us from the United States, it is clear that we are all participating in the pioneering of something new. Pandaw Cruises has operated on the Mekong since 2004, but AMAWATERWAYS is bringing a new luxury standard to the river, operating not only the first luxury vessel on the Mekong but also the first river-cruise vessel built by Vietnamese. Our guide Thoai at the former home of Marguerite Duras. What Mekong River cruising offers is an authenticity of experience not easily found in a world increasingly overrun by mass tourism. Surely, the Mekong will be exposed to mass tourism in the not-too-distant future, but for now, the Mekong is unspoiled. If the region is on your bucket list, do it soon if you want an authentic experience. And the experience truly is remarkable. Passengers I talked with express amazement with the destination and high satisfaction with the ship. They rave about the staterooms, food, staff and service. All are better than expected, passengers say. La Marguerite’s staterooms are spacious, air-conditioned, and feature flat-panel televisions and large bathrooms. Meals are a mix of Asian and Western. Soft drinks, beer, wine and local spirits are served up free of charge. Excursions are included in the cruise fare. Wireless internet, while slow, is free to use. There’s a selection of DVDs and books. Other diversions: spa treatments, sauna, pool and sun deck. 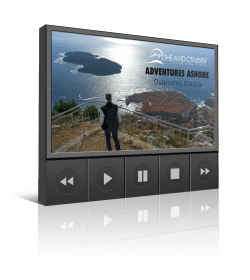 Should you be so inclined, there are exercise bikes and treadmills, lectures and even a big-screen, projector-style movie offered on two nights during our cruise. Last night, we watched the steamy movie, The Lovers, based on a semi-autobiographical novel by the French writer Marguerite Duras (also the ship’s namesake). This morning, we toured the home in Sa Dec where Duras lived between 1928 and 1932, the time period during which the movie was based. 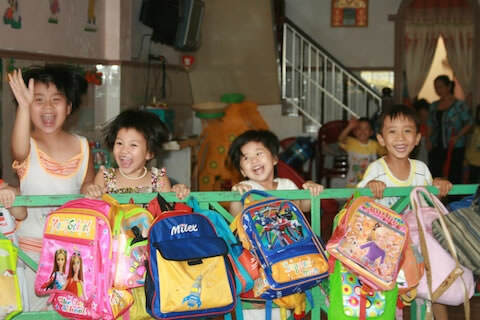 Vietnam seems to have changed relatively little from that time period until now. The villages along the Mekong appear to be suspended in time. Some say that Vietnam is like Thailand used to be three or four decades ago. Change comes slowly to the villages along the Mekong. Tomorrow afternoon, we cross the border into Cambodia. Schreiner says Cambodia represents the more spiritual part of the cruise, with its ubiquitous monks, temples and, of course, Angkor Wat, the world’s largest religious relic. As good as it’s been, perhaps the best is yet to come.